JetBlue has launched in-flight Wi-Fi designed to carry streaming video, which is now live on three aircraft, the airline announced Thursday. JetBlue is blocking some ports used by Internet voice and video chat services, but it isn’t stopping passengers from using voice. JetBlue will handle complaints about individual passengers’ voice calls on a case by case basis as part of maintaining harmony in the cabin, Johnston said. Also on Thursday, the U.S. Federal Communications Commission voted to seek comments on a plan to allow cellular service on planes through small onboard base stations. That plan wouldn’t address whether voice calls would be allowed. The same day, the Department of Transportation said it would consider banning onboard voice calls specifically. Members of Congress are also exploring possible legislation against in-flight calls. The FCC’s proposal is aimed specifically at a 22-year-old regulation designed to protect the ground-based cellular network from interference. Many airlines outside the U.S. already allow cellular use over onboard “picocells,” and they say those services are used mostly for text and data. JetBlue’s onboard Internet service is designed to let passengers watch streaming video from services such as NetFlix if they pay $9 per hour for a premium service level. For at least the first six months, all passengers will be able to use Wi-Fi free of charge, but that level of service is only designed for low-powered activities such as email and simple browsing. If users watch video on the free service and don’t upgrade, they eventually will have their speed throttled. The airline expects to deploy the system throughout its main fleet of Airbus A320 planes by the end of next year. 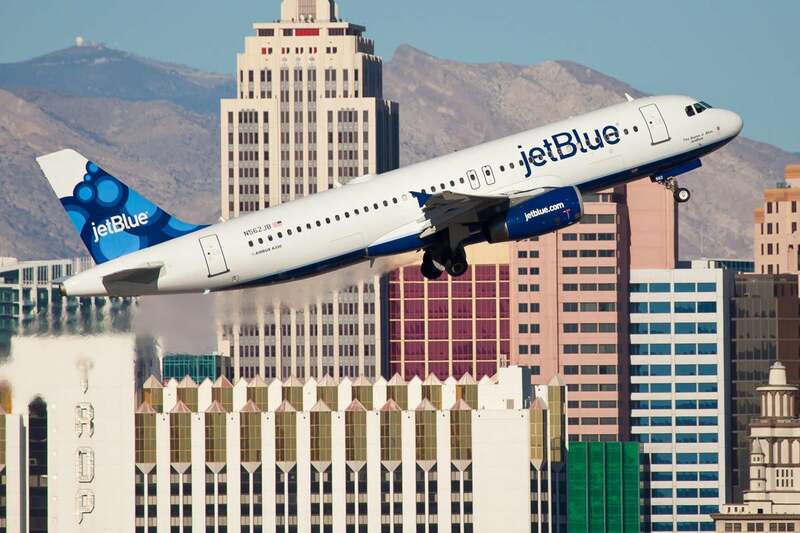 It’s powered by JetBlue’s Live TV subsidiary and links planes to the Internet via satellite.